April 24, 1926: “The Gumm Sisters” (Judy and her two sisters) sat at a “Weiner and Marshmallow Roast” at the Big Spring in Grand Rapids, Minnesota. 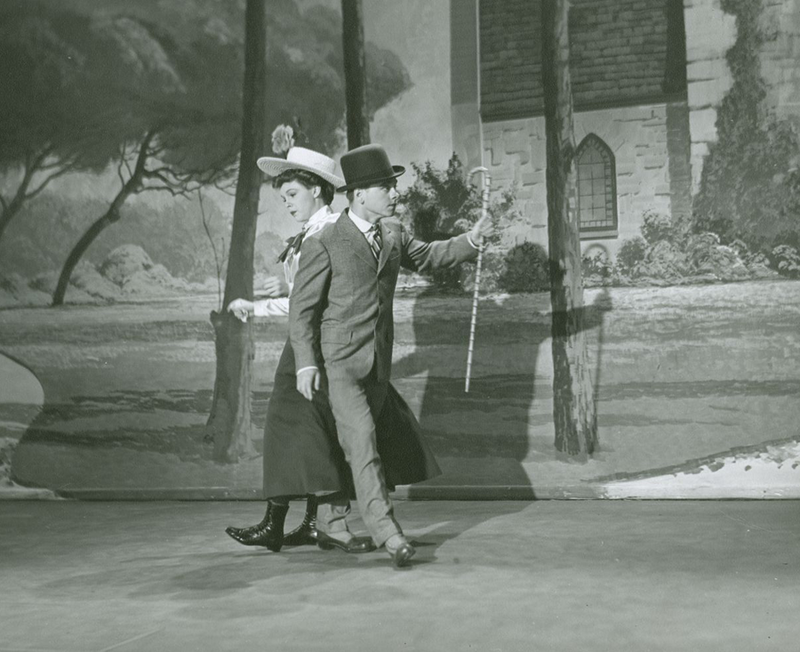 April 24, 1927: “The Gumm Family” performed at the Order of the Easter Star Charity Ball, held at the Shrine Civic Auditorium in Los Angeles, California. April 24, 1932: The first of a two-night engagement for Frances (Judy) at the Valley Theater (her father’s theater) in Lancaster, California. 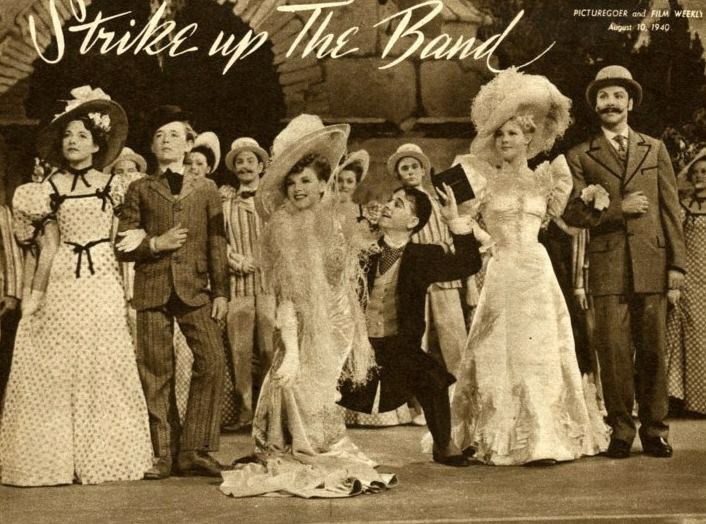 April 24, 1940: Judy and the rest of the cast of Strike Up The Band spent the day doing publicity photos on set and in costume for the “Gay Nineties” production number. 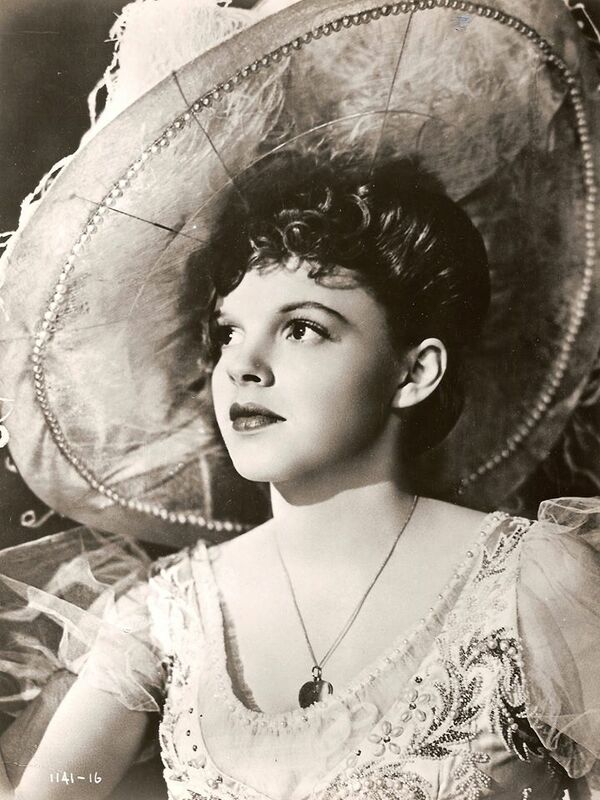 Time called: 9 a.m.; dismissed: 4:30 p.m.
April 24, 1941: Judy sat for another session of portraits at MGM’s photo studios. This time the photographer was Eric Carpenter. Carpenter took a great many portraits of Judy during her years at MGM, all of them are stellar. April 24, 1942: Columnist Louella Parsons reported on the rumors that due her recent poor health and weight loss Judy and husband David Rose were parting ways. 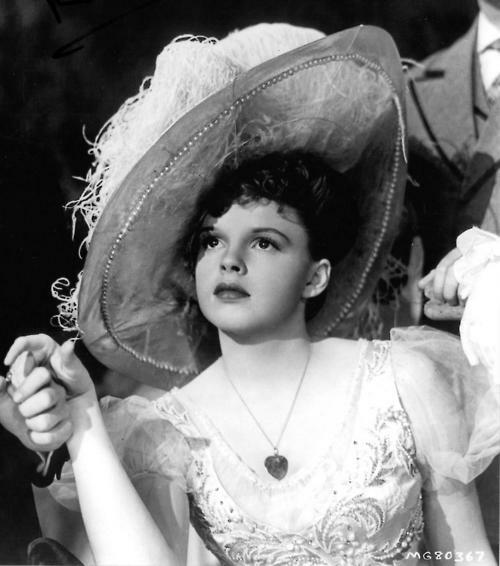 April 24, 1942: “The Sydney Herald” out of Sydney, Australia, advertised a “Special Judy Garland Broadcast” during which she was to sing “Chin Up, Cheerio, Carry On.” Judy was ill on this date and did not work. The show was most likely a previous radio broadcast that was put on a disc and sent to the radio station in Sydney. Just which broadcast it was is unknown. April 24, 1943: The first of several days of filming the “Bidin’ My Time” number for Girls Crazy on the “Exterior Campfire” set. 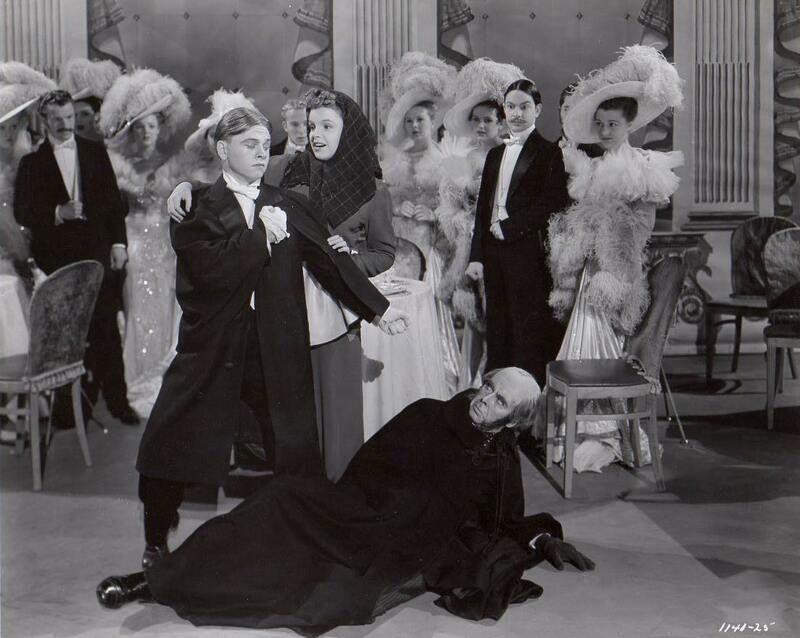 Time called: 10 a.m.; dismissed: 5:50 p.m.
April 24, 1943: Columnist Louella Parsons reported that Van Johnson was going to co-star with Judy in Meet Me In St. Louis. Johnson was on the short list to play “The Boy Next Door” John Truett, but the role went to Tom Drake. 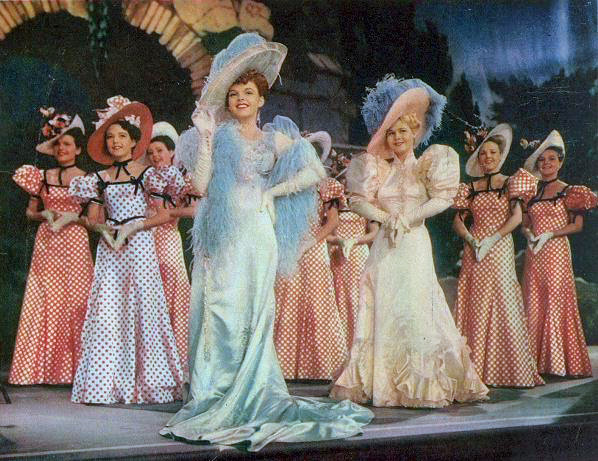 April 24, 1945: Judy was scheduled for more filming on The Harvey Girls. 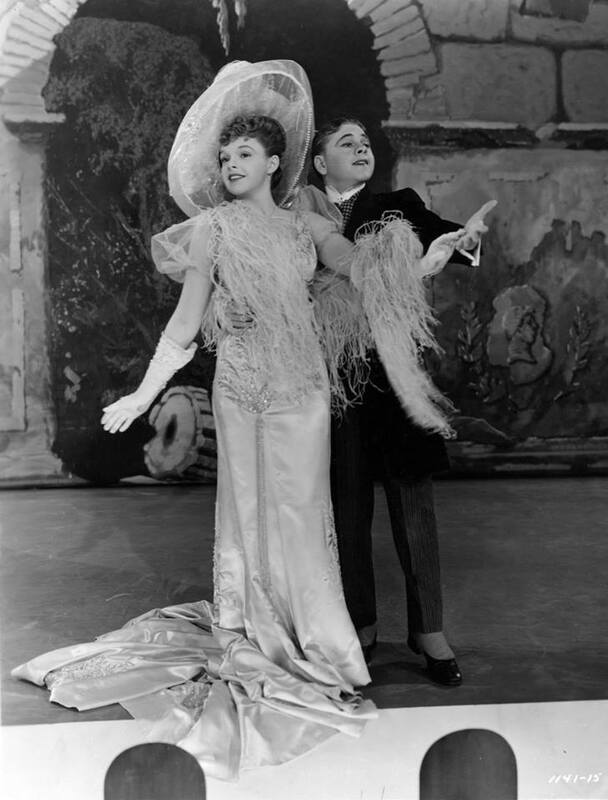 Also on April 24, 1945: Judy’s upcoming marriage to Vincente Minnelli was a hot news item. The articles state that the marriage would take place in New York followed by a three-month vacation. 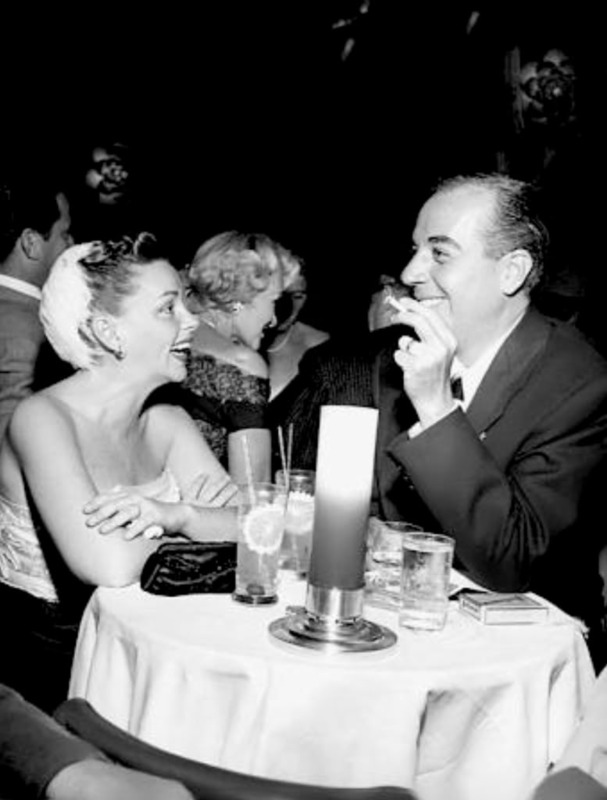 Judy and Vincente married on June 15, 1945, at her mother’s home in Los Angeles. The newlyweds then honeymooned in New York until early September when they returned to Los Angeles to being work on Till The Clouds Roll By. Of course, while Judy was in New York she still worked, making records for Decca Records and a few radio appearances. April 24, 1946: Here’s another ad for the Decca Records Cast Album of songs from The Harvey Girls. 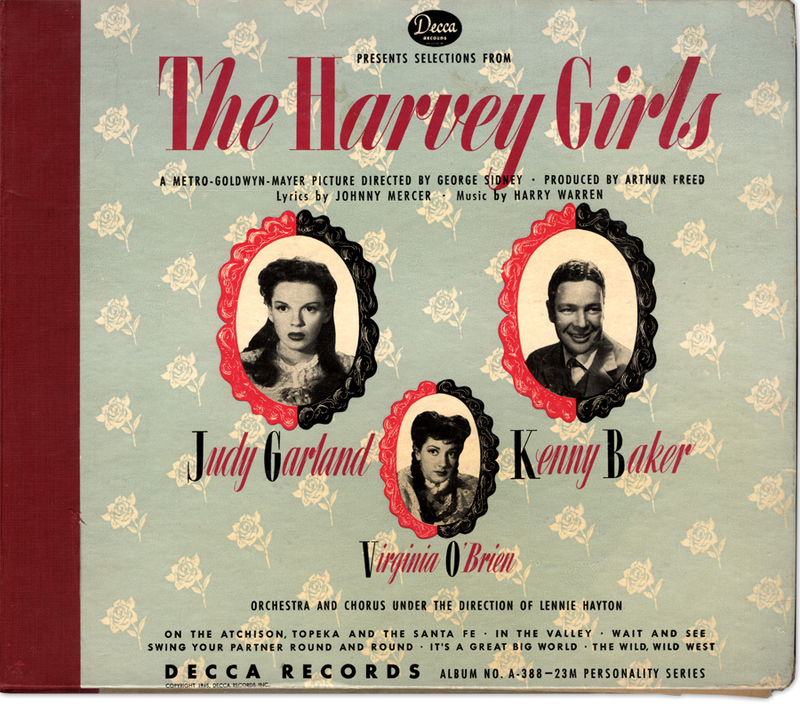 Check out The Judy Garland Online Discography’s Decca Records The Harvey Girls cast album pages here. April 24, 1947: The Pirate filming consisted of the scene on the “Exterior Sea Wall” in which Judy’s character, Manuela, first meets Gene Kelly’s character, Serafin. Time called: 9:45 a.m.; dismissed: 6:05 p.m.
April 24, 1950: Here’s a photo of Judy with husband Vincente Minnelli and daughter Liza Minnelli. On that night, Judy was there as were several other stars. 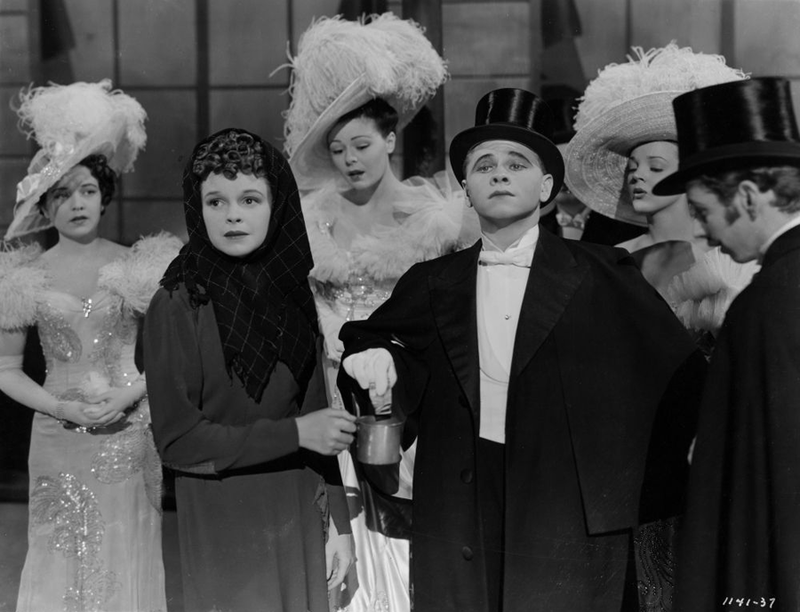 It was quite the night with Judy, Lucille Ball, Maria Montez, Janet Leigh, and Chico Marx acting judges for the contest. 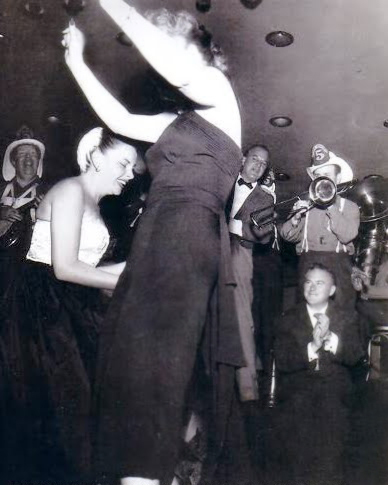 Jones noted: Judy Garland, wearing fuzzy cap on back of head, strapless evening gown, came in with party. They got past rope immediately, sat at table where they couldn’t see band. 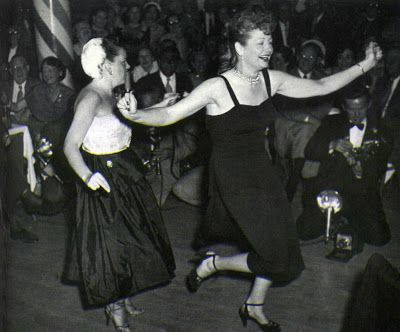 After a few minutes were moved to better ringside table … [Harry] Cocker [columnist for the LA Examiner and emcee for the night] asked Miss Ball, Miss Garland to do sister act. 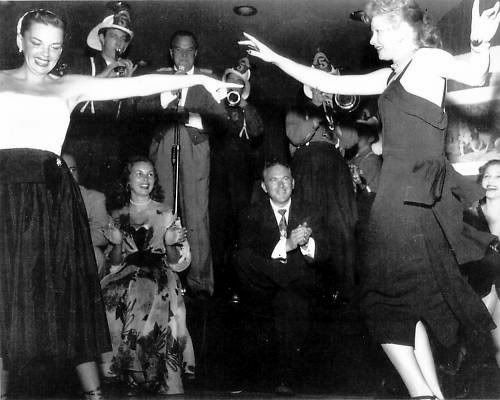 Both stars looked surprised, covered faces with hands, then got up, danced Charleston together. Much applause and whistling. Chico played piano (“It Happened on the Beach at Bali Bali”). All the couples received a bottle of Scotch which, of course, probably made it an even more eventful night. 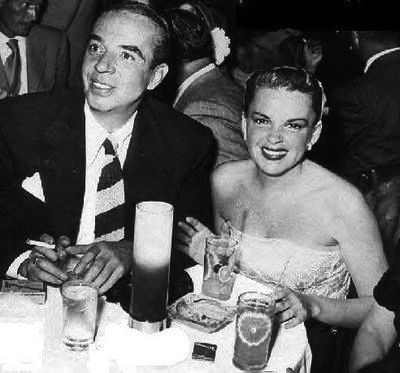 The photos below of Judy with husband Vincente Minnelli was also taken at the Mocambo on this night. 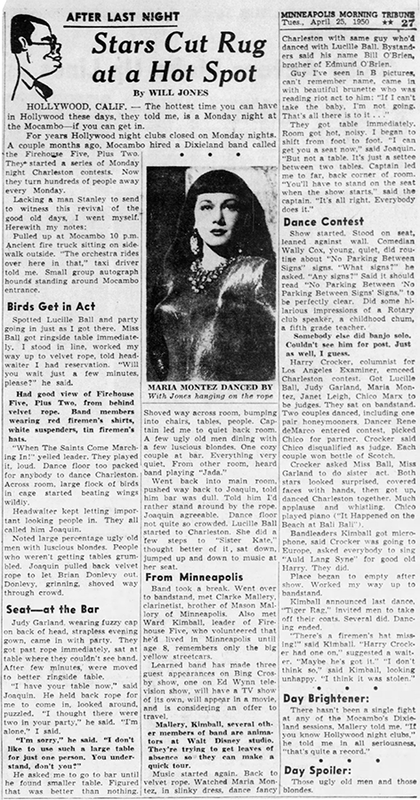 April 24, 1964: Hedda Hopper announced in her column: Judy Garland says she will do “The Owl and the Pussycat,” a straight drama without songs, on the stage in London and New York. It will be backed by the Hamlet financier, Alexander Cohen, with Ray Stark producing. Judy still plans to keep her three singing dates in Australia the middle of May.” Judy never did the show and Barbra Streisand did the movie. Stark went on to produce “Funny Girl” starring Streisand which was a biography of Fanny Brice, a project once planned with Judy in mind. As far back as April 24, 1953, it was reported (see the clipping at right) that Judy would play in a film biopic of Brice titled “The Fabulous Fanny.” Whether that was just a rumor cooked up by the columnists or something more tangible is unknown. 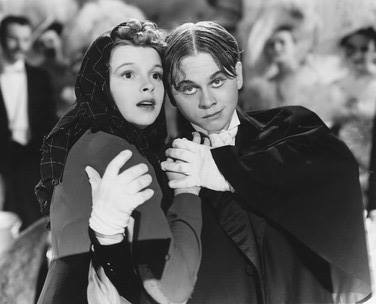 It was also briefly noted in 1937 that Judy was to play the young Fanny is a proposed biopic. That project never happened and it’s likely that too was just fodder to keep Judy’s name in the papers. For more details about the various film projects that Judy either didn’t finish, was wanted for, or wanted to do; check out The Judy Room’s “Films That Got Away” pages here. April 24, 2018: The Warner Archive re-released Meet Me In St. Louis on Blu-ray as part of their “movies on demand” series. Check out The Judy Room’s “Warner Archive” page here.